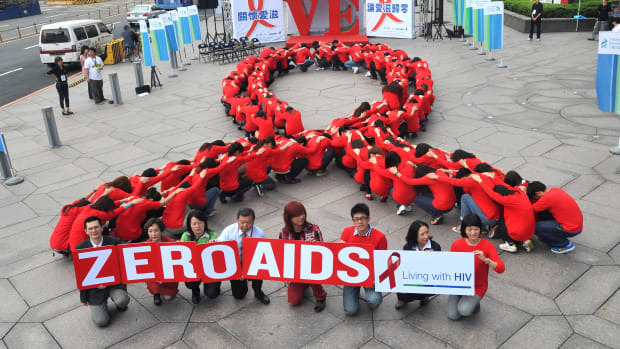 'Getting to Zero': Are We Close to a Cure for AIDS? San Francisco pushes early HIV treatment—with an eye toward a cure. When Esteban got a call from his ex-lover last May advising him to get tested for HIV because he’d been exposed to the virus, Esteban acted quickly and made an appointment at Magnet, a testing site in San Francisco’s Castro district. He went in on a Wednesday at 2 p.m. and a nurse drew his blood. By 2:45, he had the news: He was infected with the virus that causes AIDS. The social worker referred him to Ward 86, the clinic at San Francisco General Hospital that opened in 1983 as the first dedicated HIV center in the country. Two days later, he was being treated by Dr. Diane Havlir, chief of the hospital’s HIV/AIDS division and a national leader in AIDS research. And within two hours, he was doing something surprisingly radical: taking his first dose of antiviral medication just weeks after becoming infected. Three months later, Esteban went back to see Havlir for a follow-up exam and she told him he was “undetectable.” “I said, ‘Great! What does that mean? I’m invisible?’” he recalled with a laugh. Havlir explained that his blood levels of the virus were now low enough that they couldn’t be measured on conventional tests. For San Francisco, early treatment is part of an audacious goal: to become the first city in the country with no new infections—and no deaths for people with HIV. Esteban’s quick diagnosis and treatment was made possible by a new program called RAPID that provides people with treatment and medication just hours or days after they learn they’re infected with HIV. Launched by San Francisco General, the University of California–San Francisco, and the city’s health department in mid-2013, its goal is also to create a seamless web of services that help patients, who are often reeling from the news, to get quickly linked with a medical team that may work with them for years to come. For San Francisco—which has been both a center of the AIDS epidemic and a proving ground for new strategies to manage it—early treatment is part of an audacious goal: to become the first city in the country with no new infections, no deaths, and no stigma for people with HIV. This new approach, called “Getting to Zero,” also may do something else: advance the prospects of a cure. The strategy stands to benefit people like Esteban by reducing the likelihood of symptoms and getting HIV under control quickly, before the virus can penetrate and damage his organs. Suppressing his viral levels has a public health benefit because it makes it far less likely he’ll transmit the virus to others. In the long run, keeping HIV from building up in Esteban’s body may eventually make it easier to eradicate the virus from his system completely, offering him a shot at a cure as the science races ahead. This is where San Francisco’s push for rapid treatment and the goal of curing AIDS come together. For most of the past three decades, the idea of curing HIV/AIDS—a disease that has killed some 39 million people and currently infects an estimated 37 million around the world—has been deemed a farfetched notion unworthy of major investment. In some ways, that makes sense: Scientists had to understand it before they could try to cure it. 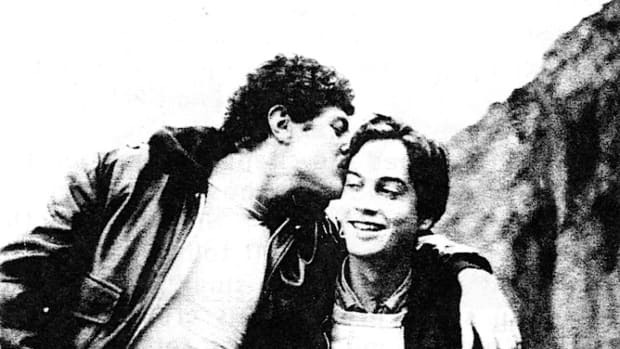 In the early years of AIDS, San Francisco and other cities were scrambling just to provide humane, effective care for people who typically would die within 12 to 18 months after developing advanced HIV infection. As the market adapted to the disease, drug companies developed the profitable new therapies that would eventually turn AIDS from a death sentence into a manageable disease. Government funding went largely to helping low-income people get access to therapy and to so-far unsuccessful efforts at developing a vaccine. Through the 1990s and beyond, eliminating new infections seemed like a naïve fairytale and curing the infected seemed like a low-priority long shot. That changed in 2008 and 2009, as reports emerged of a mysterious patient who had been cured of HIV. 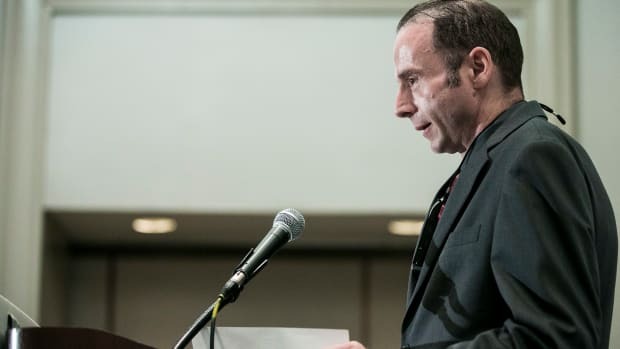 By the end of 2010, the so-called “Berlin patient” had a name: Timothy Ray Brown. Brown, an American translator living in Berlin, had been HIV-positive and taking medications to control the virus for more than a decade before he was diagnosed with leukemia in 2006. When it became clear Brown needed a bone-marrow transplant, his oncologist, Gero Hütter, proposed a radical idea: to hunt for a bone marrow donor who was also among the estimated one percent of Caucasians with a genetic mutation that leaves them essentially impervious to HIV. These lucky people lack a functional copy of a protein known as CCR5, which sits on the surface of T-cells, the immune system heavyweights that mobilize to fight infections or cancer. HIV particles use CCR5 as a doorway into T-cells—they enter and attack, crippling the body’s defenses. Hütter figured if he could find such a donor, he could essentially transplant the donor’s immune system into Brown’s body, which might cure his patient of leukemia and eradicate HIV at the same time. The search proved successful, and, in 2007, the bone-marrow cells of a donor with the CCR5 mutation were injected into Brown. The new cells replaced Brown’s immune system, including the blood-forming stem cells that give rise to T-cells. The day before the transplant, Brown took his last dose of antiviral drugs; 68 days after the transplant, no evidence of HIV could be found in his system. Hütter’s audacious plan—one that even he had doubted—had worked. In the years since the transplant, Brown has become a human pincushion, as researchers from UCSF and other institutions have probed his body for signs of hidden virus. They haven’t found any. Experts, initially skeptical, are now in agreement that he has, in fact, been cured. Brown’s cure provided a “proof of concept” that it’s possible to eradicate HIV from an infected person, says Geoff Symonds, head of scientific affairs and collaborations at Calimmune, a biotechnology company founded in 2006 initially to develop a cure for HIV/AIDS. “The longer Brown stayed undetectable, the more it proved the concept.” Calimmune and another California biotech, Sangamo Biosciences, are each conducting human trials of therapies that aim to mimic Brown’s treatment by blocking or eliminating the CCR5 protein and preventing HIV from entering and attacking immune cells. Brown’s cure also energized advocates who dared to utter the “c-word.” A group called the AIDS Policy Project organized public meetings to press for cure research and funding, wrote op-eds, and issued reports demanding the government increase spending on cure research. (One of its reports showed that federal funding for cure research accounted for about three percent of federal AIDS research dollars in the years between 2005 and 2009.) Their efforts paid off. In 2011, the National Institutes of Health announced it was making three new grants totaling $14.6 million a year aimed at developing a cure and at the end of 2013, President Obama announced another $100 million in cure funding over three years. Antiretroviral drug cocktails have transformed the lives of people with HIV by controlling their viral levels and symptoms. Yet until recently, official guidelines from the Centers for Disease Control and Prevention and the World Health Organization recommended that people who become infected start the drugs only after their levels of infection-fighting T-cells dipped below certain thresholds, a sign their immune system was being overwhelmed by the virus. These guidelines have been controversial, with many researchers and advocates arguing that it made no sense to wait for signs of immune system compromise before starting the medications. Most scientists agree that early therapy has a public health benefit because it reduces the chances of the disease spreading. The days and weeks after a person becomes infected with HIV—and before the body’s immune system mounts a counterattack—are typically when the level of HIV in the bloodstream reaches its peak. These high viral levels make this a dangerous period in the progress of the disease, when the virus is especially easy to transmit; studies show that people who take the drugs and suppress their HIV levels are up to 96 percent less likely to pass the virus to their sexual partners. From the macro standpoint, early antiviral treatments are the logical intervention. But for a long time, the benefit to individual patients starting medications early was less clear, pitting potential gains against higher costs and the risk of longer exposure to the drugs’ side effects. San Francisco health officials came down strongly in favor of the approach known as “test and treat”—aimed at testing widely, diagnosing people early, and starting people on medications sooner. In 2007, UCSF and San Francisco General began offering HIV tests to any patient who came into the emergency room. In 2012, they began using new kinds of tests that can detect the virus earlier. And two years ago, Hiroyu Hatano, a former UCSF researcher and AIDS specialist who works at Ward 86, developed the concept for a new program that would push treatment even earlier. Hatano’s program, known as RAPID—the Rapid Antiretroviral Program Initiative for New Diagnoses—established a hotline, enabling doctors and other health-care workers at medical offices and testing sites to call in to immediately upon discovering that a person tested positive for HIV. Patients are offered an immediate appointment and even a cab ride to San Francisco General Hospital if they need it. Early treatment advocates got a big boost this year when a large international study, the START trial, showed that people who began drug therapy immediately after being diagnosed with HIV were significantly less likely to develop tuberculosis, cancer, and other AIDS-related conditions than those who waited until their white blood cell counts had fallen below 350 cells per cubic millimeter of blood. The results, announced in May, were presented in more detail last month at the 8th annual International AIDS Society meeting in Vancouver. On each occasion, the results made news. Far less attention has been paid to another possible benefit of early treatment—its potential to facilitate a cure. Early treatment may get the virus under control before it can hide itself and accumulate in viral reservoirs tucked away in various organs of the body. Recent studies in Thailand and France suggest that early use of antiviral drugs can dramatically reduce the size of this reservoir, which should make it easier to eradicate. “The earlier the treatment, the smaller the size of the reservoir,” says Christine Durand, an infectious disease specialist at the Center for AIDS Research at Johns Hopkins University in Baltimore. A French study presented at the Vancouver AIDS meeting may demonstrate the benefit of impeding the formation of HIV reservoirs. It described the case of a girl, now 18, who was infected with HIV from her mother during pregnancy or delivery and was immediately started on antiviral drugs. She remained on those drugs for almost six years until her family stopped bringing her to the clinic and she stopped taking medications for almost a year. Typically HIV levels rebound quickly—weeks or months after a patient goes off drugs. Yet when the girl was tested again, her doctors found no detectable level of HIV in her bloodstream. She has remained undetectable for the past 12 years without taking antiviral drugs. Asier Sáez-Cirión, a researcher with Institut Pasteur in France, said the girl “most likely ... has been in virological remission for so long because she received a combination of antiretrovirals very soon after infection.” While her HIV could theoretically re-appear at some point, for the moment she is considered functionally cured. In one approach, T-cells are pulled from a patient’s blood and processed using Sangamo’s technology. The modified cells are then infused back into the patient, where they will constitute a bulwark that can resist invasion by HIV. The girl’s early treatment may have limited the size and genetic diversity of her reservoir, while also keeping her immune system intact, enabling it to maintain suppression of the virus, Durand says. The case supports the idea that limiting viral reservoirs may be a key to developing a cure. 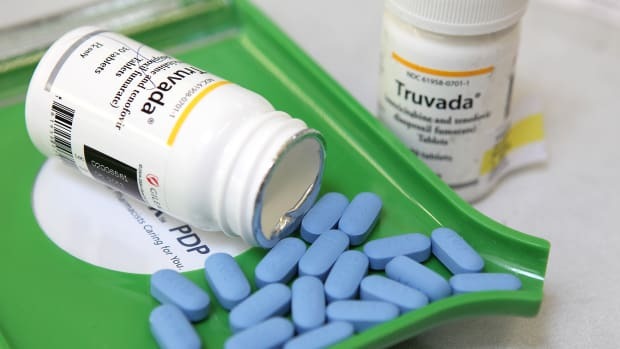 A new study now being planned will further test this thesis by carefully stopping therapy in HIV-infected patients, including some who initially started therapy very soon after being diagnosed. Anthony Fauci, director of the National Institute of Allergy and Infectious Diseases and the United States government’s point-person on AIDS research, says early treatment may be critical in developing a cure. “When I talk about a cure, one of the first things I always say is that one of the most important common denominators is to get someone on treatment as early as possible so the reservoirs remain small,” Fauci says. Timothy Brown’s amazing story may have proved that a cure was possible, but it’s not an approach that can be widely used. Bone-marrow transplants carry a mortality rate of at least 20 percent, so it makes little sense to use them on people whose HIV is controlled by antiretroviral drugs—unless, like Timothy Brown, you need one anyway. Calimmune and Sangamo are each trying to inactivate that critical CCR5 receptor—the one that opens the door to HIV to enter immune cells—without resorting to a bone-marrow transplant. Sangamo employs a gene-editing technology known as a zinc finger nuclease (ZFN), which acts like a biological scissors and can be programmed to snip out sections of DNA. In one approach, T-cells are pulled from a patient’s blood and processed using Sangamo’s technology. Scientists inject the cells with the zinc finger nucleases, which slice out CCR5. The modified cells are then infused back into the patient, where they will constitute a bulwark that can resist invasion by HIV. 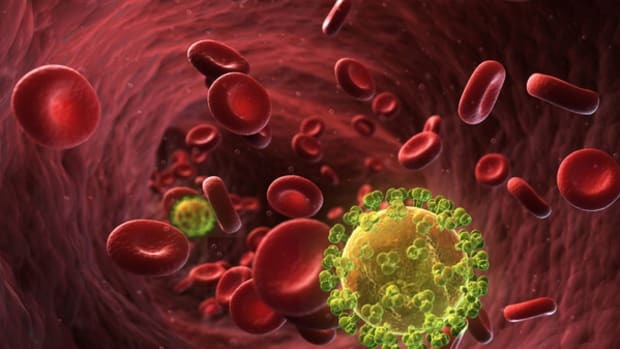 So far, Sangamo has tested the therapy in more than 70 HIV-infected people and has found that the modified cells migrate to various organs of the body where HIV tends to hide. Study participants also stop taking their antiretroviral drugs for as long as 16 weeks to see what happens to their HIV levels. Several patients have had those levels stay low enough—while off the drugs—that they would no longer be considered infectious. At least three have been able to remain off antiretrovirals for an extended period, one for more than 18 months. Researchers at the City of Hope, a cancer treatment center near Los Angeles, have begun a new trial using the ZFNs to modify stem cells instead of T-cells. Because the stem cells are the progenitors that form T-cells and all the other cells of the immune systems, this approach could create a steady supply of new, HIV-resistant cells in the immune system and may be the most effective approach. Other strands of research are also underway. One strategy, known as “shock and kill,” aims to flush HIV particles out of the viral reservoirs and into the circulatory system so they can be attacked and degraded by antiviral drugs. 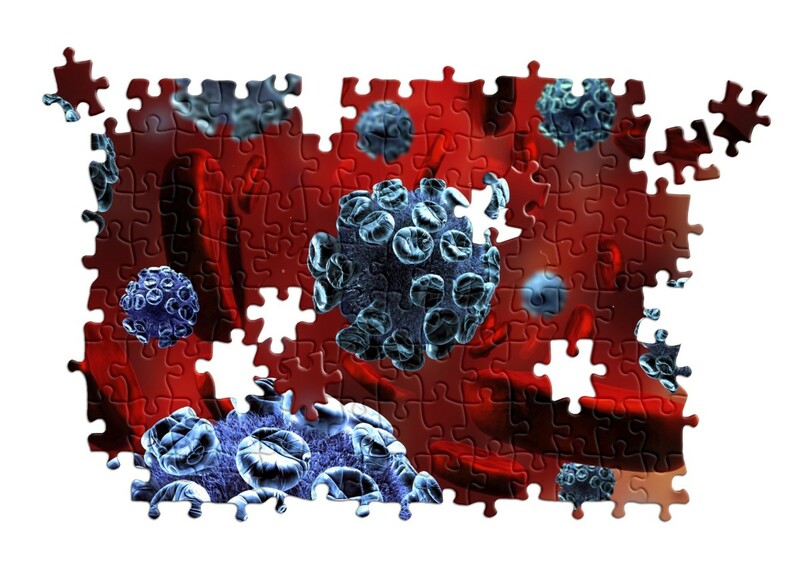 Another strategy would inject patients with so-called “broadly neutralizing antibodies” in an effort to defeat the virus’s uncanny ability to morph in ways that allow it to evade attack by the immune system. How a multi-disciplinary approach can reduce transmission and encourage patients to engage consistently in their treatment. We were young misfits in 1980s San Francisco, taking care of our friend, who was dying, and waiting for our own diagnoses. We were doing, selling, stealing drugs, staying as high we could. Looking back, I cringe. Yet we did the best we could. The Berlin Patient. The VISCONTI cohort. A baby in Mississippi. None of these represent the wide-reaching HIV cure that we've spent decades looking for, but they do get us a little bit closer to one. Researchers Say Trump's Pledge to 'Defeat AIDS in America' Is Achievable. What's Standing in the Way? Many of the Trump administration's own policies undermine this goal. As news of a second patient entering remission makes headlines, we take a look back at the first time doctors vanquished the virus.